Not long ago we discussed some of the newer tablets out there–like the BlackBerry PlayBook–and with Apple having released a new tablet just last Friday, there’s one more to see. But if you use a lot of apps in the course of your small business’ operations, or if it revolves around the provision of apps, you may be surprised to hear that the new iPad means a lot more than you might think it does for your small business. What many are discovering about the new iPad is that the Retina Display, with its improved resolution and image quality, is that it’s fundamentally altering the way many apps are presented visually. 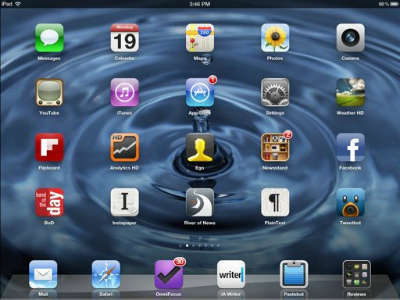 Many apps are currently geared to the screen size and resolution of the iPhone or the iPad 2, but with the substantial increase in resolution the new iPad presents, it’s left many popular apps facing a crisis of resolution. Whether your app deals in PDFs, calendars, virtual office tools or the like, the results seem to be the same across a variety of different programs. Apple hasn’t done developers any favors in terms of getting the apps to fit the new display, and that’s going to be a result you’ll have to accomplish yourself. Basically, what you’ll need to do in the short term is modify your app to work in the new environment–even a simple fix will do in the short term–but the key will be to resize the resolution to better fit the new display. Thankfully, there’s still some time to work here. Chances are many app vendors saw this particular issue coming when we first discovered that the Retina Display would play a big part in Apple’s latest version of the iPad, and as such, have already begun making the necessary corrections. 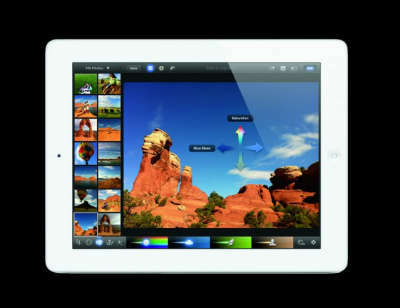 Some were ready to go from day one as Apple specifically pointed out several apps specifically geared for the iPad not long before its launch. And for those who haven’t, the delays in shipping for the new iPad will be a surprise boon to those vendors who haven’t quite gotten the resolution problem licked as yet. Indeed, with Apple’s online store projecting delays of two to three weeks in every version of new iPad they offer, it’s clear that there will be some extra room to breathe before anything seriously happens. But those who don’t make the changeover in as rapid a fashion as possible will find themselves being replaced by those that did. Whether you’ll be looking for new apps soon, or frantically working to prevent the impact of the new resolution on your app, it’s not just apps that will make your business better. It’s also a smart idea to have some cloud-based telephony features in play to ensure that your customers can get in touch with you. Whether you’re using call hold and transfer services or auto attendants, keeping your phone systems as wide open and accommodating to incoming callers as possible is just good business. This entry was posted in Small Business, Virtual Office by Steve. Bookmark the permalink.